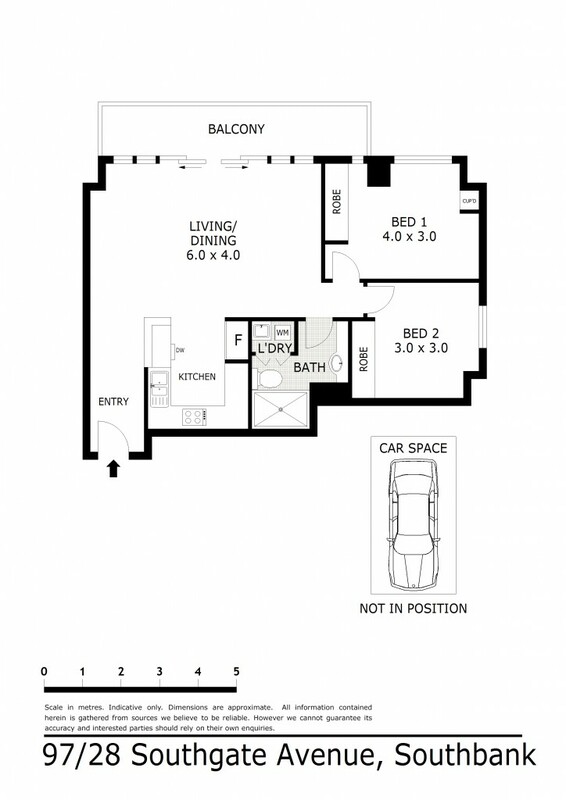 Large two bedroom, one bathroom, one car park apartment with all that Melbourne has to offer on your doorstep. Located in the stunning Yarra/Southgate locale, this apartment is part of the ground-breaking 28 Southgate Avenue building - one of the iconic developments along the city fringe. The large and bright bedrooms are complete with double built-in robes as well as central heating and cooling throughout. The living/dining area also has a reverse cycle unit to ensure you can enjoy both summer and winter in equal comfort. Sparkling, large kitchen comprises of all the features one requires to never have to concern oneself with ordering in again! Located on the bank of the Yarra with the State Theatre, NGV and the City on your doorstep, a car would seldom be required - but secure car park is on title, in addition to a storage unit. Some of Melbourne's finest eateries are moments away including Pure South Dining, Red Emperor and Waterfront.....the list just goes on! A superb apartment that demands an inspection, you will surely not be disappointed.